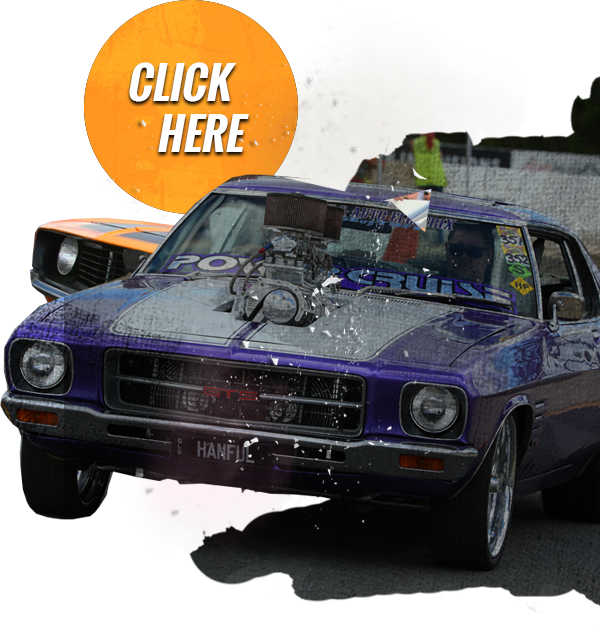 This Perth Entrants page is to answer any questions you have about being an entrant at Powercruise. You can also watch the compulsory Driver Briefing DVD on u-tube so you can see what is and isn’t allowed to happen on the track in the cruising sessions and events at Powercruise. Do you want to Cruise, Race, Drift, Skid and party at Powercruise? Entry forms must be completed in full with payment (Bank Deposit/money order/cheque) and emailed to info@powercruise.com OR mailed to PO Box 471, Paradise Point Qld 4216. We recommend to post your entry by express mail for speedy delivery & it can also be tracked. If mailing right before a cut off, ensure you make sure we receive it prior to the cut off date. Entry forms must be completed in full in order to submit the entry form. Payment is via Credit or Debit Card only online, MasterCard & Visa only please. Processing is instant so please double check your card is good to go before submitting your entry form. Yes we do accept Entries on the day. Go to our Accreditation Office located on the internal road between Gate 1 & Gate 2 (see Venue Map). For Office Hours please check the Event Program. You will need to bring yourself, your car, your valid drivers licence and cash for payment. (no eftpos at the office sorry). Please refer to the Powercruise Entry form – downloadable above – for Prices and Terms and Conditions of Entry. Please also download the Event Guide for everything you need to know about being an entrant at Powercruise. If you want to drive your car at Powercruise then you need to be an Entrant! Powercruise offers discounted entry fees with cut off dates to make it more affordable for everyone. The Entrant Fee covers 1 Driver and/or 1 car to participate in all the standard track activities for all days of the event, so that means as an entrant you can go in the Cruise Sessions, Drifting, Powerskids, Off Street Racing, Burnout Competition, Show & Shine – all of it! If you’re not sure either way, you can of course call us here at the office on0407172413and we’ll be happy to assist you. Cars entered into Powercruise must be in a good presentable standard, Powercruise is a car show afterall… This means cars need to be complete inside and out (includes bonnets, front & rear bumper bars and presentable interior), and be fully painted (no undercoat). There are also ample ladies and mens toilets spread around the venue. This includes both demountable building type toilets as well as portable individual toilets for more urgent matters!!. Camping is available for both entrants and spectators. The Camping fee is additional to any advertised entrants fees. Spectators wishing to camp will need to purchase the 4 Day Season + Camping Pass, this is the only pass that permits spectators to camp whether you are staying for only one or all of the nights. These are not sold on our website or at the gate, they are only available for purchase with a paying entrant. There is a huge range of trophies and prizes up for grabs at every Powercruise event thanks to our valued sponsors, for our competitive events being the Powerskids, Burnouts, Drifting, Show & Shine and dyno (if present). All prize money is paid by cheque. If you are not present at trophy presentation we will not give your trophy or prize money to a friend. We will post your Trophy and Prize money if applicable to you within 14 days after the event. All unpresented prize money cheques will be cancelled within 14 days of the event if they have not been presented. This is for the security of the entrant of course. Powercruise posts uncollected Trophies and prize money cheques at the entrants risk. If either is lost in the post or stolen while in the entrants hands, Powercruise will not be responsible and will not be reissuing a new trophy. We suggest you hang around for Trophy presentations or ask a staff member if you have won a prize if you have to get on the long road home before the presentations start. Check out the Trophy & Prizes List >> Coming Soon! for Perth Powercruise 2019- COMING SOON! At Perth’s Barbagallo Raceway Powercruise will see the introduction of the infield Garages being made available for hire and of course they will come with pit lane access for no lining up and quick access to the track for all events including cruising. There are 30 Garages for hire and each garage holds 2 cars comfortably plus your gear. They come in various configurations. Some in groups of 2 3 & 4 so more than likely you will be garaged with someone you don’t know but what better way to get to meet new like minded petrol heads. A few rules regarding the Garages. You are not permitted to do the following in the garages. No Cooking, No Fuel Storage over 20L, No Gas Bottles, No Burnouts, No Oil Mess. A cleaning bond will be charged for each garage. The person renting the garage is responsible for any damages incurred or any cleaning post event required to bring the garage back to its original condition. Garage must be cleaned by the Renter at the end of the event to receive their bond back in cash on Sunday afternoon. That’s all pretty easy to understand i hope and remember these are brand new garages so they will be treated with the utmost respect at all times and any inappropriate behaviour will have every person in your garage removed from the garage and maybe even the event so be a sport. The Garages will be available for hire from Thursday 6pm or earlier is there are no track hires for that day until 6pm Sunday afternoon of the event.. Regarding crossing the track, all P Stickered cars in the garage can at some stages cross the track with the direction of Powercruise staff. this cannot happen anytime you like as the track will be in session so between 20 minute sessions we will let the cars lined up wanting to cross the track then cross while its safe to do. To get back into the infield, you will be able to go down the old Pit Lane access road to gain instant access to the track, go around the track and exit at the exit point if you prefer. Due to the contract terms between Powercruise Promotions and the venue, the venue will always be open and the Powercruise will always go ahead. Powercruise will never be cancelled or postponed due to rain or any other reason. The full entry fee into Powercruise is $250. Powercruise offers discounted rates with cut off dates so to make it more affordable for everyone. By pre entering you understand that you have paid a discounted fee and therefore understand the following conditions apply. A refund of entry fee less a $40 administration fee will be given if the entry is withdrawn in writing 14 days prior to the commencement of the event. Full price entries are accepted online and on the day at the entrant’s discretion and there will be no refunds due to inclement weather, broken down vehicles or for any other reason. Any pre entrants that do not attend the event for any reason understand that they have willingly forfeited their entry fee and there will be no refund and they are not transferable. The entry fee includes entry to the event for 1 driver and 1 vehicle for all events except the Dyno Comp & overnight camping. Camping and the Dyno comp incur an additional fee. For an entrant to be eligible to compete in competitions for prize money/prizes they must have paid an entrant fee, any unpaid entrant fees will be deducted from any prize monies won at the full on the day entrant fee. All Entrants/Drivers/Vehicles are accepted at the discretion of the promoter. The promoter has the right to terminate your participation in the event at any stage for whatever reason he and/or she sees fit. Entratns who have had all armbands removed due to their misbehavior on or off the track must take responsibility for their actions and there will be no exchanges or refunds. Upon Entering Powercruise your email address will be added to our E-newsletter database, if you do not wish to receive E-newsletters from us please let us know. By entering this event you agree that Powercruise may use photographs or video footage taken of yourself or your vehicle during the event for publicity purposes including DVD production, television commercials or for future Powercruise events. Any damages caused (wilfully or unwilfully) to any property belonging to anyone including but not limited to, race track walls, safety barriers, fences & signage in the event of an accident, must be paid for. The vehicle/vehicles in question, and/or any prizes/prize money will be retained as collateral until full payment is made. Entrants are responsible for their actions on and off the track. Powercruise Insurers cover personal Injury but not property. If your car breaks down on track, or requires towing for any reason, Powercruise staff/volunteers will tow/recover your car in good faith and will take all care possible when towing or recovering your vehicle, however Powercruise Staff and Volunteers take no responsibility for any damage that may occur during this process, or at anytime at Powercruise.